This book is based around the notes prepared for participants on a driving experience course to read before the day, so that they could extract the maximum possible enjoyment from their time on the footplate. However the notes related to the 15" gauge steam locomtive Sian, but have been considerably expanded to apply to any passenger hauling steam railway locomotive, from the model gauge of 2 1/2", through the other model, miniature and narrow gauges, up to 4'8 1/2" standard gauge and even 5 foot broad gauge. 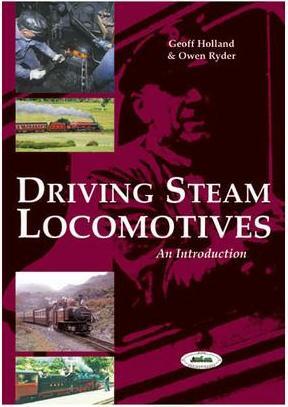 As all steam locomotives function in the same basic way whatever their size, the bulk of the book is all embracing, but a chapter covers the differences peculiar to the model and miniature gauges, making the book equally useful for the person who has just obtained a smaller steam locomotive, and requires a primer on how to operate and look after it. If you have ever looked at a steam locomotive and wondered what does that do?, or why is the driver doing this now?, then this is the book for you; it may not give you the knowledge to jump onto the footplate of Flying Scotsman and drive her non-stop from London to Edinburgh, but it will give you a good solid introduction to how a steam locomotive works, how it is driven, and the duties of the driver and fireman. Published by the SIAN PROJECT GROUP which owns, maintains and operates this 15 gauge locomotive, profits from the sale of this book will help the Group to keep Sian in steam for many years to come, and available for those who would like to fulfil their dream of driving a steam locomotive. 48 A4 format pages. 17 drawings and diagrams, 40 B & W photos. Softcover.